In 2005, we were founded on a unified belief that neuromodulation could be used in novel ways to help patients break free from treatments they aren’t happy with. 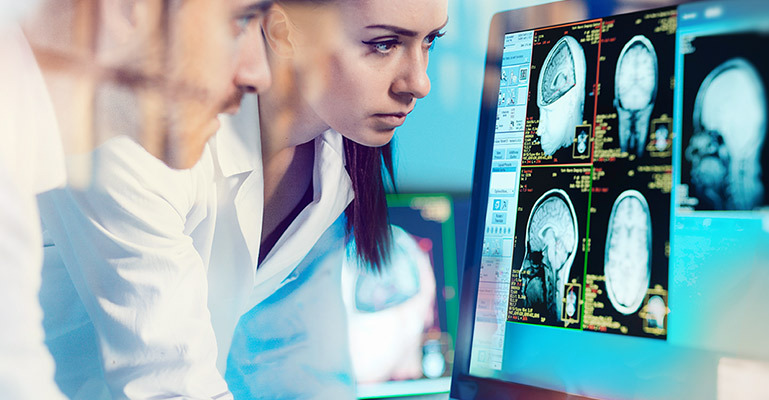 Because different modalities of neuromodulation had previously proven to be effective and safe, we recognized an opportunity to be the leader in this new frontier of medicine and embraced it. After raising more than $30 million dollars in funding, we announced in March 2013 a first closing on a Series A financing led by Merck Global Health Innovation Fund and Core Ventures, which raised $55 million. In November of 2017, Merck Global Health Innovation Fund and Core Ventures were joined by Knoll Ventures, American Investment Holdings, and others in the raising of more than $70 million. electroCore announced an initial public offering with the Nasdaq Global Select Market in June 2018. The milestone has allowed the company to deepen our commitment to clinical research and remain focused on advancing our platform technology. We have secured an extensive intellectual property portfolio, with more than 200 patents and patent applications worldwide. These patents and patent applications cover many critical areas of our technology, including the proprietary signal, methods of treatment, non-invasive delivery means, and mechanisms of central action. Continued developments in our technology provide us with the potential to maintain patent protection. We have no obligations to third parties for our intellectual property. We are committed to behaving in a fair, honest, and transparent manner that enables long-term, positive relationships to be built on solid foundations of trust and credibility. We are driven by a strong sense of responsibility to advance the availability of our product to the patients who need it. We also recognize the role of all stakeholders in the success of the organization and welcome and respect their input and opinions. We are committed to being responsible citizens as a company and as individuals, and we strive to improve the communities and the lives of the patients we serve. Recognizing the potential social, economic, and environmental impact, we will continue to work in such a way as to make a positive impact and inspire innovation globally and locally. We are conscious of the role that all companies must play in protecting the environment and we look to operate in the most sustainable fashion and reduce waste throughout our operations. The entire field of bioelectronic medicine—the use of electricity without the need for drugs—can have a positive impact on the environment. As part of the company’s commitment to environmental responsibility, we have evolved our first marketed product, gammaCore™ (nVNS), to be a reusable medical device that is environmentally friendly and helps to reduce waste. *Austria, Belgium, Cyprus, Denmark, France, Germany, Greece, Italy, Luxembourg, Netherlands, Norway, Spain, Sweden, Ireland.